A Great Fitting Life Vest that Actually Floats! The Micro DFD has been designed for dogs under 7kg. Just like the standard DFD, it combines advanced manufacturing techniques with the best materials available. The Micro Doggy Flotation Device has been designed and extensively tested to give your dog the most ergonomic and snug fit possible. Our unique Ultra-Buoyancy Foam is strategically positioned around the vest to keep your dog in a natural swimming position at all times. Unlike other vests, the Micro DFD does not hinder your dog's natural movement and can be fastened/removed easily and quickly. To the water we go..
Other great features include our Ergonomic Grab Handle and Super Strong Nylon D-Ring, allowing you to easily transport and secure your dog when required. Rest assured, your Micro DFD is made to the same exacting standards of quality that has made EzyDog the leaders in high performance dog accessories! For best fit, measure the girth and length of the dog. The girth being the area behind the front legs and around the body and the length being the area from the neck to the base of his/her tail. Girth will take priority when selecting a size. The Micro DFD does not need to cover your dog’s entire back length to be effective. another fun day at the beach playing with our dog Razzi and her new Ezydog life vest. what a well made life vest she loves swimming and we love giving her a good work out. "The life vest fits perfect. My dog loves it. "My little Yorkie has had an ACL injury in his knee- this DFD has enabled him to stay in the water and exercise his little legs for longer. He can rest while still in the water without fear of sinking- and he does! Love the handle on top of the vest- easy to grab and causes no discomfort to little Baxxter when used to lift him up. Excellent quality product and very glad I purchased it! " "A very good product that has changed our Mini Schnauzer from being terrified of water to being an active participant every chance he gets when wearing his vest. Thank you EzyDog." "We recently brought an miniature dachshund and were not confident in its abilities to swim. Given we as a family do a lot of fishing and boating,we thought it would be a benifit to have our dog protected the best way we could. The sizing of the vest was spot on and the delivery speed was amazing. The product is really well manufactured with a great emphasis on quality. The dog loves it too. " "We purchased an EzyDog DFD for our Rottweiler and loved it so much we thought we would get a couple of Micro XS for our cats. Our cats have always been ok swimmers but wearing the vest allows them to cruise around in the water more calmly then if they weren’t wearing a DFD or... in this case a CFD. 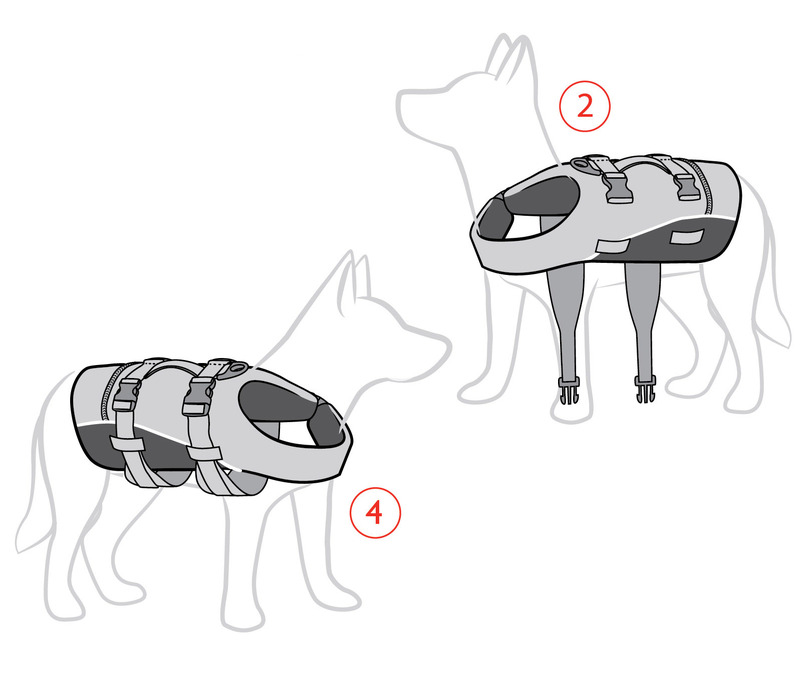 We used the size and fitting instructions on the EzyDog website to choose the right size. Stylish on Rotties and ridiculously gorgeous on Moggies! "